Miso is perhaps one of the most well-known of Japanese ingredients, with the reputation of miso soup as a simple, low-calorie lunch rocketing this fermented soybean paste into the mainstream. However, just because it’s good for you, doesn’t mean that it’s a chore to eat. Miso is a fantastic ingredient with versatility far beyond tasty soups; add it to marinades, sauces and vegetable bakes for an injection of salty, umami flavour. 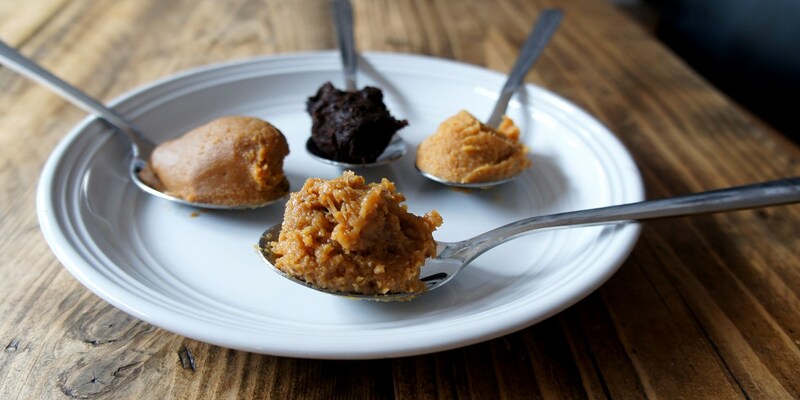 There are many varieties of miso to experiment with, from the sweet and gentle white miso made with rice, to the dark and sticky hatcho miso, benefitting from a very long fermentation for a punchy flavour. In this collection of miso recipes, you’ll find a range of miso-inspired dishes, from Shu Han Lee’s sumptuous Miso and honey marinated aubergine – which uses deep and sticky hatcho miso to maximum effect – to Geoffrey Smeddle’s Skate wings poached in miso, which sees instant miso soup used to create a stunning seafood dish. Meanwhile, Monica Shaw uses white miso to transform roast vegetables into a brilliantly comforting dish in her lentil bake recipe.